Top ranking in Google Your site is a Signal of Success. According to a survey, the site ranked on Google’s first page receives 90% of the traffic. Today in this article, I will tell you how to improve the Google Ranking of the website. 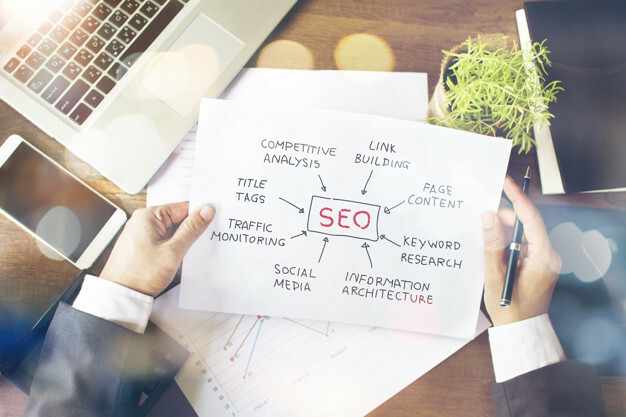 You can not buy rankings for your website, but there are some strategies that help you get a top rank in Google search. These strategies do not apply to Google only. It also applies to all major search engines. Always publish Unique & Quality Content on your blog. Because this is the first and most important step to rank higher in Google search results. Also, pay attention to the length of the content. It matters a lot in search engines. Compared to the short content, Long content ranks better in search engines. But keep one thing in mind, do not write nonsense to increase the length of your content. Backlinks are one of the Google ranking factors. High-quality backlinks can make huge changes in your website search engine ranking. It also helps in increasing Domain Authority. But bad/spammy/ buy / low-quality backlinks can cause great harm to your website ranking. If you want to increase Google ranking for free, always try to create high-quality backlinks. 100 Quality Backlinks are equal to 1000 low-quality backlinks. Google is using Page Speed as a ranking factor. If your site takes more time to load, your site will not be able to get a good rank in Google search results. Apart from this, Visitors do not even like to go to the Slow loading site. Fast loading website affects both ranking and user experience and Google ranks well in search. The number of mobile users has increased a lot and it has completely dominated the desktop search. This is the reason that Google is using Mobile Friendliness as a ranking factor to improve the mobile user experience. So make sure your site is mobile friendly. For this, you can use the Mobile Testing Tool. It has been developed by Google. If your site is not mobile friendly, then you need to install a Responsive WordPress theme on your site or you need to talk to your developer. Also, keep your site’s design clean and simple. The design of the site creates a good impression on users. 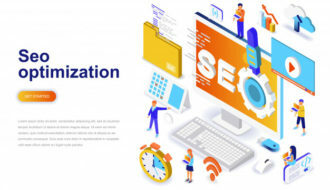 On Page SEO is one of the most important parts of SEO. This greatly improves your website’s Google Ranking. HTTPS is also one of Google ranking factors. When Google ranks a page, it uses https as the Ranking factors. Keyword research is very important to get a better rank in Google search results. If you publish unique and very useful articles on your blog but do not do Keyword Research, then your site will not rank higher in Google search results. Keyword Research is not a difficult task. There are many great tools and websites that can help you find the best keywords. But one thing, if your blog or website is brand new, then use long-tail keywords for your content. Long-tail keywords play an important role in increasing your Google ranking. They are highly targeted. In addition, help increase your organic traffic on your website. What are Keywords and How to do Keyword Research? The links pass the juice. Make your content more informative and user-friendly. Internal Linking provides relevant information to search engines and visitors. This technique makes your content even more useful for visitors. In addition, it helps to better understand the search engine about what your content is about. When you add External Links to your content, you have to take care of a lot of things – that site should be relayed from your site, that site should not be spam, its DA and PA should also be good. Always create an SEO Friendly URL for your blog post. It helps to understand the search engine – what is your blog post about? Try to make your URL short and readable. And also use your target keyword in it. Make your URL short and readable. Do not add the extra word. Use proper names and ALT tags for your images. Your images will be able to get a good rank in search results, as well as increase traffic. resize and compress This reduces your image size and improves the loading speed of your site. Use the media (video and image) in your content. This makes your content more attractive and useful, and while reading it Visitor Bore is not there. If you want to keep the visitor on your blog for a long time, then you should use Images and Video in your articles. Broken links (404 not found) affect both ranking and user experience. If there are too many broken links on your site, then Google will crawl your site. The search engine (Google) understands website owners do not maintain the site well. Also, when the visitor goes to any site on which the number of broken links is very high, then they do not like to go back to that site. WordPress.org has many free Broken Link Checker plugins that help you to easily fix Broken links on your blog. Domain Authority (DA) is a metric that reflects your site’s reputation. It has been developed by Moz. The Higher domain authority site gets a good rank in Google search results. Domain Authority is built on a scale of 1 to 100. You can check your site’s DA MOZ free tool, Open Site Explorer. Good website hosting is very important to increase website ranking and traffic. If you make a mistake in choosing a web hosting, then it will affect Google ranking and traffic too much. Your website will be mostly in downtime and your site will load very slowly. Use SEO friendly theme on your site. SEO friendly theme also plays an important role in improving website ranking. Since all WordPress are not SEO friendly and their coding is not good either. If you choose the wrong theme for your site, then it affects both your loading speed and SEO. Update your old post. This will make Google more like your site and rank better in search results. When you update your content, use the new image and video in it. This makes your old post new. After updating the post, ask the search engine (Google) to crawl it again. The Cache plugin for any WordPress site is a very essential plugin. The main goal of the Cache plugin is to improve the user experience by improving your website loading speed. This makes your site super fast and reduces the load on your server. page caching, browser caching, object caching, database caching and minification. It’s alternative you can use the WP Super Cache plugin. CDN improves forums on your site It creates a Cache version of your site on its servers and serves users through the servers that are closest to the user’s locations. This reduces your server load and improves the website loading speed. There are lots of CDN services available in the market. Currently, I use CloudFlare on my site. This is a very popular CDN service. Affiliate Links /untrusted/spammy links can harm your website ranking. If you add Affiliate Links and Untrusted Links to your content, use the rel = “nofollow” tag. You can use Ultimate Nofollow plugin for this. This plugin gives you full control over the rel = “nofollow” tag. In addition, if you use the plugin to manage your Affiliate Links, you can easily set a No-Follow tag for your Affiliate Links. In this competitive market, we can not wait for the visitor to come to the blog, we have to deliver our content to him. So share your site as much as you can. Apart from this, we can take advantage of the social media site. There are so many social networking sites where people spend more time on their own. The sitemap helps to crawl your website/blog better. If you are using Yoast SEO or Jetpack on your site, they allow you to easily create XML Sitemaps. After creating your Sitemap, submit it to Google Search Console. Google best ranks those blogs that regularly publish fresh and new posts. This increases both Google ranking and blog readers. But your content should be informative and useful. Readers like to read those blogs every day, publishing content with new-new and unique ideas. If you publish 4 posts a week but do not publish anything next week, then this strategy is worse than publishing two posts a week. It’s very important to keep an eye on Google’s latest Algorithms. If you ignore the latest Google Algorithms, you will not be able to achieve success in blogging. There are many blogs that were getting lots of traffic from Google search result. But after the Google Algorithms update, their traffic and rankings were reduced dramatically. The strategies I told you here will help you improve your Google ranking 100%. But you can not boost your website ranking overnight. This is a long time process. You have to be a little patience in this. But keep in mind one thing Quality content is very important. If you use all of these techniques on your site but do not pay attention to quality content, then all your efforts are useless. Google will not rank your content well in search results.